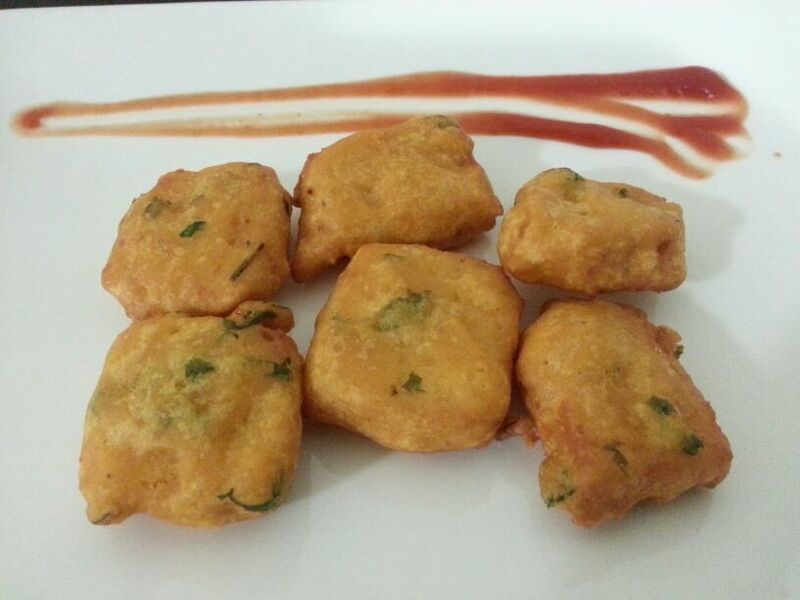 Bread pakoda is a delicious snack which is a great accompaniment to tea time. 1. Remove the crust of the bread and cut it as desired. I cut it into small squares, 9 pieces of each slice. Keep it aside. 2. In a mixing bowl add besan, rice flour, onion, coriander leaves, salt, turmeric powder and Red chilli powder and mix well. Add water as required to form a batter. The batter should be able to coat the bread. 3. Keep it aside for 15 minutes. 4. Heat oil for deep frying. Reduce flame to medium. 5. Mix the batter once. Dip the bread pieces in batter and drop in the oil. 6. Fry till golden on both sides and remove on paper towel once done.